maybe we misread the message. This week Viv has shared poetry by Rupi Kaur – I agree with her about her style being simple yet rich. Viv says it’s chilly in London; it’s dark, dismal and cold up here in North Norfolk too! Frosty, but no snow as yet, which is what has inspired my poem this morning. Posted in Poems. Tagged Frost, Imaginary Garden with Real Toads, Messages, Nature, Spring, Tuesday Platform. You were quite merciful in your words- to the weather, considering it’s being rather mean to us.Love the transition of harsh to gentle in your 2 stanzas. May we have a forgiving winter….Amen! Like the interplay of nature’s messages! That is such a beautiful photo. 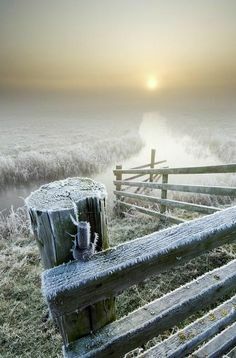 I love how nature paints everything with frost….so lovely. A beautiful photo with such a beautiful message. Thank you, Carrie, and a very merry Christmas! We should have all the hope in the world. That is a beautiful photo and poem. Thank you so much, Vicki. Maybe we misread the message – that makes one pause for thought. I wish more humans would stop and think about what we are doing to the planet. Nature comes in with a lot of hints. Guessing what is can be very thrilling. The guessing game makes up for the drab coldness of seasons. Merry Christmas to you, Kim! Thank you, Hank, and a merry Christmas to you and your family,, too! Nature is the biggest inspiration. After all, we are a part of nature.